As someone who didn’t grow up in New York City, I had heard stories about The Stonewall Inn. The legendary uprisings, the brave and diverse community who risked everything to make life better for LGBTQ+ people today – it felt like a rite of passage to finally visit this institution in person, once I moved to New York City. It definitely didn’t disappoint, and it’s one of my favorite places to go during Pride. The bar is located right in the heart of the West Village, so you can check out cute neighborhood brownstone buildings, cozy cafes and amazing shopping, before you stop in for a cocktail and soak up some culture and history. They have different events each night, but my favorite is the Big Gay Happy Hour – held every weeknight, with 2 for 1 drinks! I’m always up for a bargain, so I really can’t ask for anything better. This year marks the 50th anniversary of the Stonewall uprising so I’m especially excited to visit during this upcoming Pride season. Pride in New York City is not complete without watching or participating in the Pride March. This is one of the biggest in the world, and with WorldPride this year – it will be even bigger! Every year, I get asked to join in the March and if you want a truly memorable and unique Pride, you must join the parade! Don’t worry if you don’t get invited. Reach out to the NYC Pride organization, as they keep a list of groups who welcome additional marchers to join them. If I am not in the parade itself, I’m definitely watching it in the West Village. It is super crowded because the streets are narrow, but there’s something about being right in the heart of where it all started that makes the experience special. There are a lot of official Pride events in June, but one of my favorite ways to celebrate the season is just relaxing in Sheep’s Meadow in Central Park. It’s a big grassy area where you can have a picnic, play games, people watch, or simply hang out with friends. There are plenty of shirtless boys and at times, it can seem like a gay outdoor party. In fact, during the summer there is an informal gay gathering every second Sunday of each month where there’s no shortage of eye candy or opportunities to meet new people. There’s a sense of community, not only at the Sunday gatherings, but when people congregate in the meadow in general, that makes me realize how special Pride in New York City really is. I like to soak up every drop of Pride and make it last as long as possible. One of the best ways to extend your New York City Pride celebration is with a mini vacation to Fire Island. For those unfamiliar, Fire Island is a popular (and beautiful!) LGBTQ+ destination, about two hours away from New York City proper. There are a lot of towns within the island, but the two main LGBTQ+ ones are The Pines and Cherry Grove. While very different from each other, both The Pines and Cherry Grove feel like an adult summer camp for the LGBTQ+ community. Everyone gets around on foot (via a network of tree-shrouded boardwalks) and people are so open and willing to make new friends. The energy of Pride is defnitely felt throughout the entire Summer season. Another Long Island favorite of mine is Long Beach and this year it’s the host to “Pride on the Beach” starting June 21st until the 23rd. The weekend will feature over 30 events in 3 days, including the 2nd annual “Pet Pride Parade” and the infamous “Concert on the Beach.” Be sure to end the weekend by marching in or cheering from the sidelines at the 29th Annual Pride Parade. Regardless of which beach you choose, both are a great way to continue your Pride celebrations and also connect with other LGBTQ+ people who are from or visiting the greater New York City area. 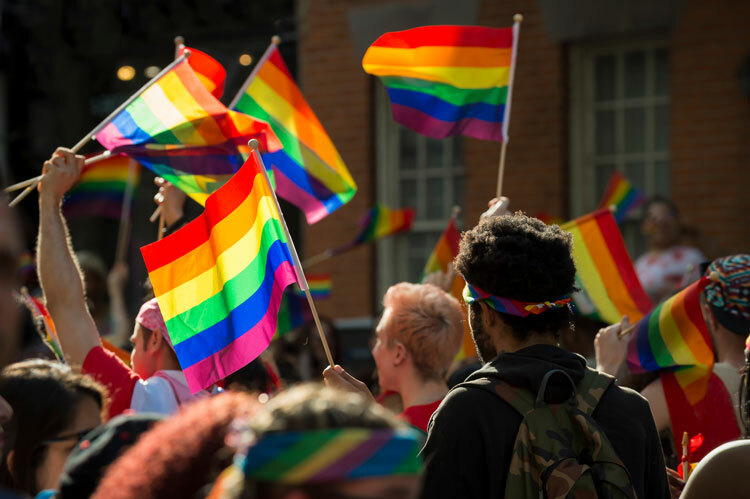 Editor's Note: WorldPride 2019 is rapidly approaching, and we could not be more excited. In anticipation of this monumental event for the LGBTQ+ community, as well as for all of New York, we’ve chosen two Out Travelers to share what they do to celebrate New York Pride in their own personal style. Check out how Olympic athlete, Chris Mosier, spends his New York Pride here, and you can learn all about how the team at Out does a proper New York Pride right here!